Japanese, like all languages, is complex. When you first start studying, you learn one or two ways to express a certain idea. But as you advance, you learn there are three, five, or more ways to express the same idea with different nuances. This is certainly the case with "although," which can be expressed in Japanese as けれども, が, and the Japanese particle monono ものの（）. ものの is a pretty advanced grammar point, so beginners may want to stick with けれども and が for awhile. If you’re ready to advance, you’ll find that ものの has its own identity and connotations. Let's explore exactly what makes it an important particle to learn and use. Grammatically speaking, ものの is a contrastive conjunction. This is a fancy name for words connecting two clauses that are in disagreement with each other. In a contrastive relationship, the first clause says one thing, and the second clause says something else that diminishes the force of the first. This "diminishing" could be contradiction, weakening its effect, or detracting from its decisiveness. But this の isn't the usual type that we know from modern Japanese. ものの first appeared in the Heian period, and its use of の only makes sense in the context of the grammar rules of classical Japanese (also known as Kobun). The function in which の was used in ものの appears to be an apposition ( 同格（どうかく）), which means a sequence of alternative references to the same thing. In modern Japanese, の can do this only in attributive links between nouns. A famous example of this is the movie title となりのトトロ: the nouns となり and トトロ refer to the same entity, and の connects these two elements to show they are one and the same – essentially serving as a grammatical equals sign (=). This is why the title means "My Neighbor Totoro" and not "The Neighbor's Totoro." ものの is a contrastive conjunction. This is a fancy name for words connecting two clauses that are in disagreement with each other. In classical Japanese の had much wider appositive powers, and could connect not only nouns but entire clauses that referred to the same thing in alternate ways. ものの, then, seems to have been a clunky way of saying "[A] is one aspect of the situation, and [B] is another aspect of the same situation." Like many other Japanese grammatical expressions, the actual function of the word isn't obvious from its literal meaning, but in this case it doesn't take a lot of imagination to see how this ended up meaning "although." Every single night in which you said you would come ended up passing in vain. I no longer trust you, yet still spend my time longing for you. The basic contrastive meaning of ものの, which in the context of this poem is more naturally translated as "yet still," has remained in Japanese to this day. Contrastive conjunctions such as けれども and が can be used generally. You can use them for any purpose that corresponds to "although," "but," or "however." On the other hand, the Japanese particle ものの is much more specific. ものの is used in circumstances where something doesn't live up to the expectations that it initially created: while it did start moving promisingly in a certain direction, it failed to reach it’s fully-realized phase or scope. This is why ものの is sometimes called a "concessive" element — it admits some fact is true yet ultimately inconsequential in a larger context. Given this function, ものの is typically used to refer to situations that are already known in their entirety, either because they have already taken place or are always in effect. The best way to conceptualize what ものの does would be to imagine a two-stage rocket lifting off the launch pad. Everything seems to be going well, and the first stage goes off without a hitch — but alas! The second stage isn't working. It sputters a few pitiful flames, veers off course, and drifts into space. Everyone at mission control is sad. I woke up early to watch a morning drama show, but ended up falling back asleep. The expectation here is that after having done the hard part of waking up early to watch the show, I would have gone on to do the actual watching. But that second, easier part somehow never took place: I screwed up and fell asleep again. No drama for me. This is basically what happens in all sentences with ものの. The first clause, which ends with ものの, is the first, successful stage of the rocket — the one that did its job properly and brought the situation to the midway point that it was supposed to reach as part of its predicted trajectory. The second clause, after ものの, is the second stage that goes off script and ends the launch differently from what everyone was expecting. The point is: the situation as a whole isn't a complete failure; it's a balancing act between satisfaction and disappointment. ものの is used in circumstances where something doesn't live up to the expectations that it initially created. Another important thing to remember is the disappointment here is only from the perspective of our initial expectations, and doesn't necessarily mean the situation as a whole had an undesirable outcome. As you will see in some of the example sentences below, ものの can also be used when an initially negative direction is contradicted by a positive statement. What matters in ものの is the reversal of the fortunes in the sentence, whether it's a good reversal or a bad one. So how does the Japanese particle ものの function in actual sentences? We already mentioned ものの is a conjunction based on an abstract noun (もの). As such, it can only be directly preceded by verbs and adjectives, just like standard nouns. And like many other conjunctions, it's nearly always followed by a comma that separates the first clause from the second. In rapid speech ものの can get slurred into the form もんの, but you're not likely to hear this form very often, because ものの is mostly used in written Japanese or formal speech. This is the default ものの, which is used on its own at the end of the first clause in the contrastive pair. It follows the final verb or adjective of the clause. I was well aware that it was a bad idea, but nevertheless I ate a whole two kilos of Hi-Chew again. At the new ramen joint there are long lineups, but it's totally worth the wait. It's true that I'm broke, but I do enjoy eating delicious wild herbs every day. It's happening very gradually, but my neighbor’s alligator has been getting friendlier with me. "This is X… [but that is Y]." The presence of は makes とはいうものの more emphatically contrastive than ものの on its own. The part that precedes とはいうものの is made to feel like a token remark that barely has any effect on the contradicting statement that follows. This extended variant is particularly handy in that it can be used not just with a clause (which must end in a verb or adjective) but with any preceding phrase or element. It can do this thanks to the universal quoting function of とはいう. I know he's still in training, but the fact that they won't even let him play video games is just ridiculous. Although it's already October, it continues to be hot and humid. I know they say that, "Good medicine tastes bitter to the mouth," but kale is something I can’t quite bring myself to like. No matter how much you may love Hi-Chew, eating two kilos in a single hour is just too much. Although locusts have a high nutritional value, many people hesitate to eat them. No matter how friendly your neighbor's alligator has been getting along with you, you should be careful — it has sharp teeth. とはいうものの, unlike the above type, comes at the beginning of a new complete sentence. It is placed immediately after the full stop (。) of a previous complete sentence, and marks the two sentences as standing in contrast to each other. Beyond the technical distinction between complete sentences and clauses, the choice of final or initial とはいうものの is basically a matter of emphasis, and works similarly to choices between pairs like が vs. だが, or けど vs. だけど, etc. When the conjunction is used in the final position to link two clauses, the emphasis is on the second clause, with the first one being a sort of introductory remark. But when used initially with two independent sentences, both sentences are balanced in force and have an equally important role within the message the speaker wants to convey. Koichi says Seattle is close to Portland. However, from the perspective of a Japanese person, they are pretty far apart. The orangutan is a smart animal. Having said that, orangutans can't speak human languages. That restaurant offers all-you-can-eat crab meals. But apparently, if you leave even a single uneaten piece of crab, they charge you extra. It has traditionally been claimed that sleeping with your head toward the north can bring you bad luck. However, these days not many people worry about that anymore. As the example sentences show, ものの can be freely applied in a variety of contexts despite having a fairly specialized meaning. This, by the way, is a characteristic many advanced Japanese grammar elements share. They are often much more focused and straightforward than beginner elements, which tend to have broader, blurrier meanings. Actually, in quite a few of these examples, ものの could technically be replaced with けれども or が. But that would remove the important shade of meaning ものの provides. Using ものの creates an emphatic yet subtle statement about the speaker's initial expectations versus the eventual reality. Switching to けれども or が would result in a neutral statement, without any particular suggestion that things should have ended up differently than they actually did. 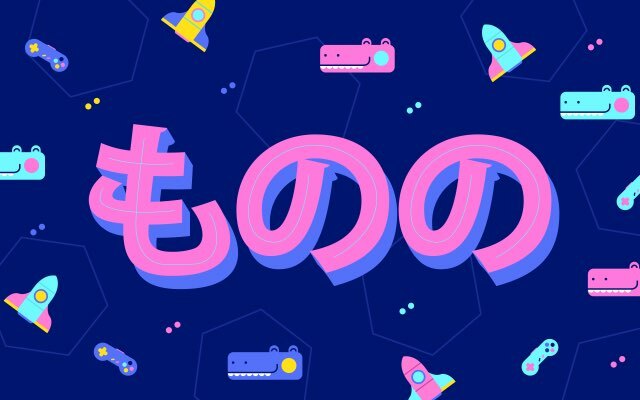 Being able to express such nuances is what makes the variety of similar words in Japanese grammar a helpful thing, despite the burden of having to make so many choices at every turn. So next time you want to make a contrastive sentence, give ものの a shot at expressing your thoughts; it might turn out to be exactly the "although" you need.